This past winter, Cape Ann Museum exhibited a show of Gabrielle Barzaghi’s drawings. 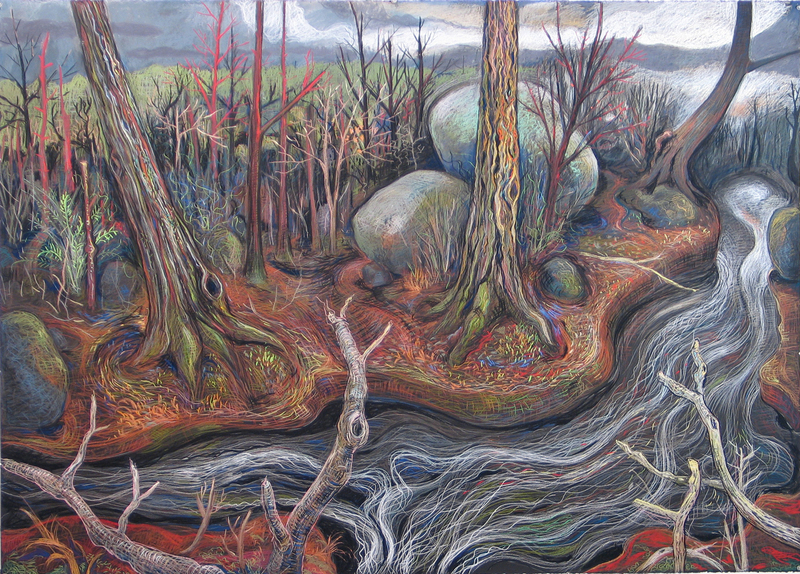 Her work is all visionary landscapes and nightmare fantasy situations, and I was immediately taken with it. Gabrielle will soon be showing a huge new work at Trident Gallery in Gloucester. The show opens October 18, 2013. 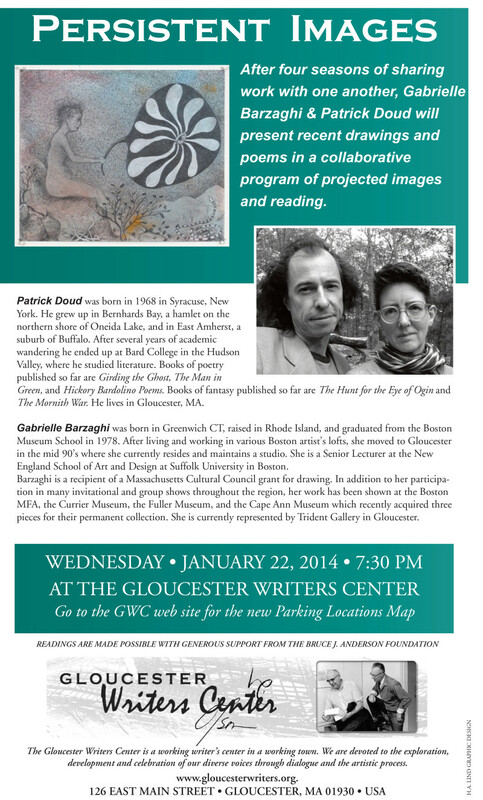 Gabrielle and I are doing a presentation together on January 22, 2014, at The Gloucester Writers Center. We’ll be projecting images of Gabrielle’s drawings while reading my poems and other writing; but more about that event as it draws closer. Here’s a poem for the day from my book The Man in Green, published back in 1996 by Lee Chapman’s First Intensity Press. As I was at work on The Mornith War, something mysterious happened in Gloucester, Massachusetts, the city where I live. For decades, a painting of a serpentine creature endured on a big rock on Cressy’s Beach, a beautiful place on the western side of Gloucester Harbor. 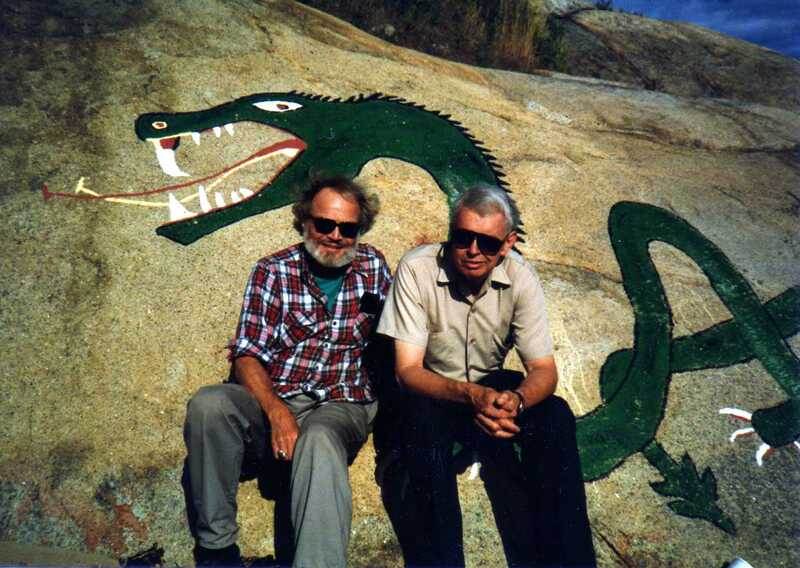 Here’s a picture I took in 1991, visiting the creature with poets Ken Irby (on the left) and Gerrit Lansing. No one I ever spoke to knew who was responsible for the original painting, or who touched it up from time to time, keeping it from being rubbed away by the elements. Years gave the serpent a sense of permanence, so that it seemed to me it would last a long, long time. Then, one night in October 2009, someone took a roller and white paint to the beach and covered the serpent. This brought on a series of Gloucester Times stories [First Gloucester Times story, second Gloucester Times story, third Gloucester Times story, fourth Gloucester Times story,], uncovering who (a well-known Gloucester painter named Robert Stephenson), what (he had painted Quetzalcoatl, the feathered serpent deity of Mesoamerican myth), and when (a beach party in 1954, when Stephenson was 19 … making the outdoor painting fifty five years old at the time it was defaced). What the articles never did uncover, though, was who blotted out the painting, and why. 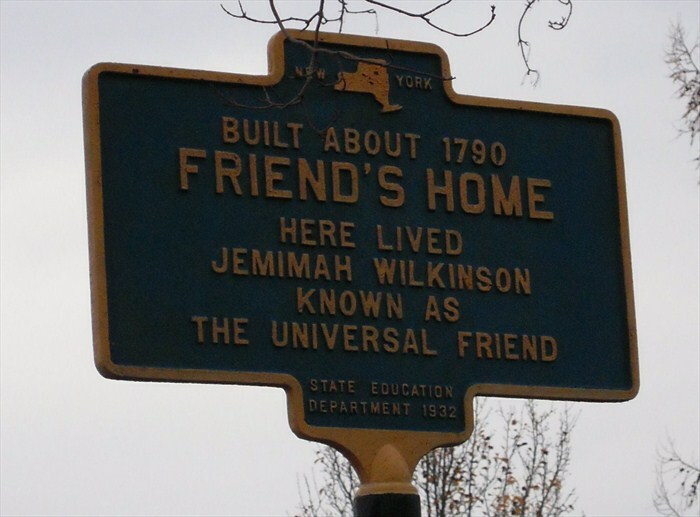 The question of why really got to me—and does still. It was not done by someone who wanted to restore the rock to its natural state: the huge blotch of white looked more unnatural than the painting it covered. Why would someone go to the trouble of covering the serpent, but apparently not care what they put in its place? It occured to me one explanation might be religious belief, since people of certain faiths regard even pictures of mythical creatures as demonic. It was my guess that someone living in sight of the serpent believed it signified evil, and with that guess the serpent on the beach gave birth to the mourgel in The Mornith War. The last post—about wanting to crawl into flowers like a bug—focused on some of the flowers that were then in bloom on the big rock beside my house. I had planned to follow that with another June flower post, this time dealing with Fernwood, a small lake in the woods to the north. So, to bridge the gap between the last post and the next: Here are some of the pictures that would have gone with the piece I was planning to write, back before the neglect set in. 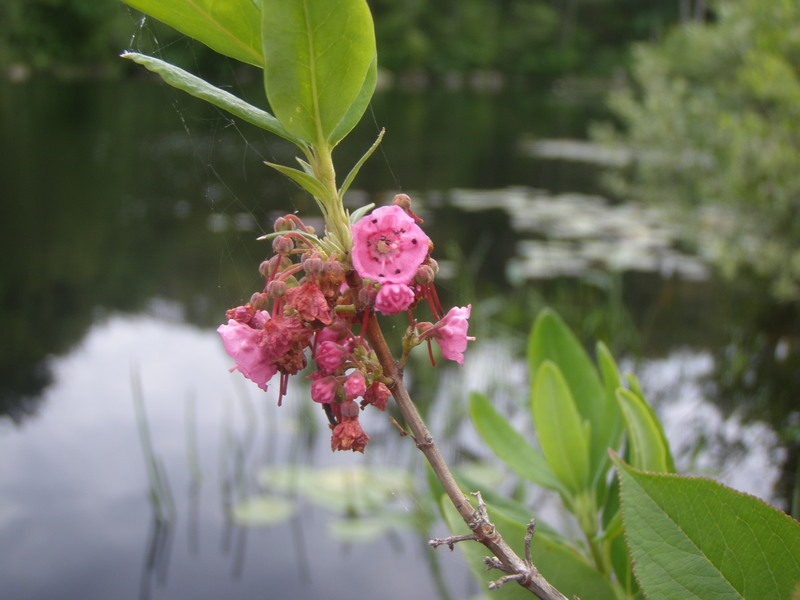 On the land bridge that crosses a corner of Fernwood Lake, I found what I think was sheep laurel. This spot isn’t far from the part of the woods where mountain laurel grows, the subject of an earlier post. 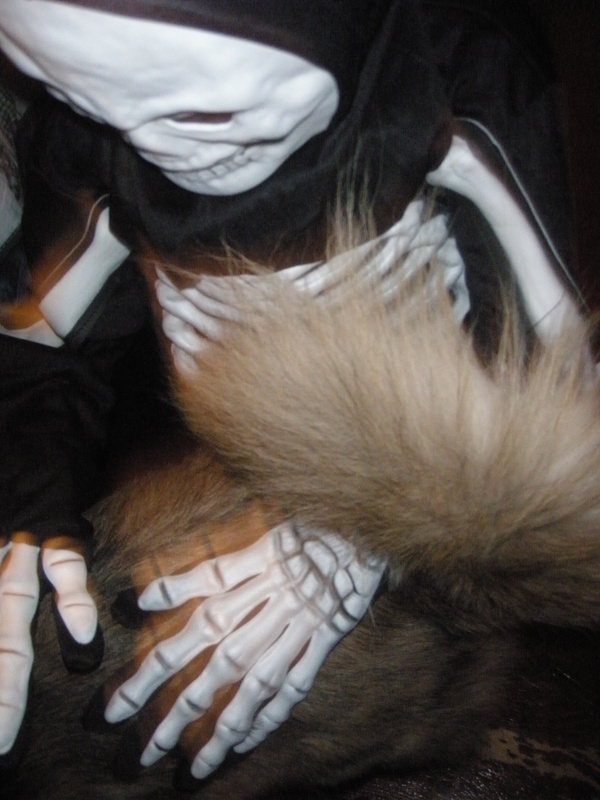 There, a smidgen of last summer’s glory. Onward.